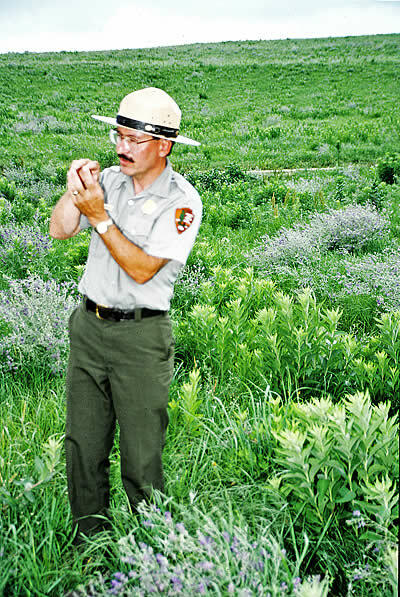 The Tallgrass Prairie National Preserve is one of The 8 Wonders of Kansas because it represents the last significant example of the tallgrass prairie in North America! Prairies began appearing in the mid-continent from 8,000 to 10,000 years ago and have developed into one of the most complicated and diverse ecosystems in the world, surpassed only by the rainforest of Brazil. 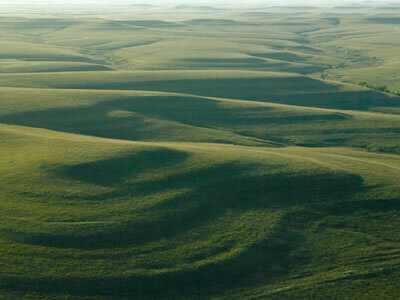 Tallgrass prairie once covered approximately 170 million acres of North America. It was the continent's largest continuous ecosystem supporting an enormous quantity of plants and animals. Some of the grasses include Big Bluestem, Indian Grass, and Switch Grass and they can grow to heights of eight feet in the fall, depending on the moisture and other factors. Man discovered the rich soils that exist in the prairies about 150 years ago. Finding the prairie soils outstanding for crop production, they plowed the prairie everywhere they could for the production of wheat, corn, and other domestic crops. Less than 4% now remains, mostly in the Flint Hills of Kansas. This makes it one of the rarest and most endangered ecosystems in the world. On November 12, 1996, legislation created the 10,894 acre Tallgrass National Prairie Preserve to protect a sample of once vast tallgrass prairie ecosystem. 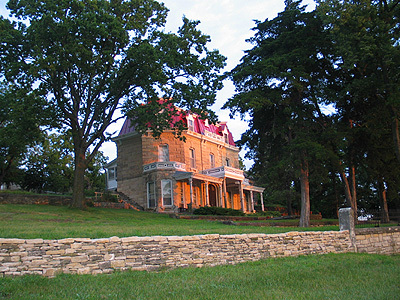 The Tallgrass National Prairie Preserve also safeguarded cultural history with the restoration of cattleman Stephen F. Jones' ranch called Spring Hill Farm and Stock Ranch. Tours of his 1881 limestone Second Empire house, the three-story limestone barn, and other outbuildings add to the experience of a visit here. A wide variety of educational programs and tours are offered to help the public learn about the cultural and natural history of this area. To experience more of the Flint Hills drive the 47-miles of the Flint Hills National Scenic Byway on K-177 between Council Grove and Cassoday. Winter hours 9 a.m.-4:30 p.m.